Chalende 30 is a lovely family home which has recently been made available for weekly rentals. 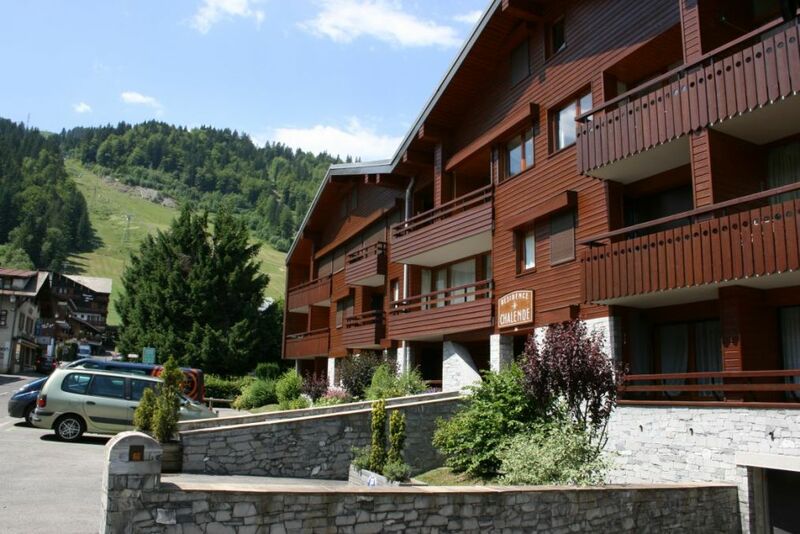 Situated on the 2nd floor of a high-standard Residence only 80m from the Pleney slopes, the apartment sleeps up to 7 in three bedrooms, and has simply masses of living space and views on both sides. The lounge features a glass-fronted fireplace and high ceiling. There’s a sunny front balcony looking up to the ski mountain of Nyon, two armchairs and a large sofa, and a TV / DVD with Freeview UK channels. The kitchen is well placed between the lounge and the dining space, and is well equipped with dishwasher, large fridge with freezer compartment, washing machine, microwave, full size electric oven, and glass hob. The oval dining table can easily seat 8, and there’s a glass-fronted “loggia” too, giving views over towards the Taille du Mas de Pleney restaurant street. A corridor leads off to the bedroom area: there are two double bedrooms each with built-in cupboards, and a bunk bedroom with triple bunkbed (made bespoke for this bedroom as it has a high ceiling, and is very solid and safe with two fixed ladders). There’s a bathroom with bath, overhead shower and handbasin, a separate WC / handbasin, and a shower room with WC and handbasin. The apartment has low-level under floor heating plus electric radiators in all rooms, and plentiful hot water. There’s an underground garage suitable for a car max 1m80 high, and a ski locker too. There is 100m² of space. The apartment is suitable for wheelchair users. Chalende is right in the centre of town, and you can walk to everything - no need to have a car especially in the winter. The lifts are at the top of the road; the Tourist Office square is behind the building, and there are several bars and restaurants within 1 minute from the front door. NOTE ON SUMMER PRICES: "high season" applies to all dates from 30th June - 25th August. "Low Season" applies to all other summer dates.